The Financial Services Authority (FSA) is to ban financial advisers from receiving commission for selling investment policies from 2012. The decision is a revolutionary change for the financial services industry. Commission payments have been at the heart of mis-selling scandals involving policies such as mortgage endowments and personal pensions. "New rules... will remove commission bias from the sale of retail investment products," the FSA said. "Firms will have to be upfront about how much they charge for their services, and no longer hide the cost of their advice behind the cost of a product," the FSA added. The new policy will apply to the sale of investments such as pensions, annuities and unit trusts but not to mortgages and insurance policies. When the new rules start, financial advisers will have to charge their customers directly for their services and will have to tell them exactly what their charges are. "Firms will not be able to accept commission in return for recommending specific products," the FSA said. "Consumers will know what they are buying upfront, how much it will cost them and also have the peace of mind that it was recommended to suit their needs." For decades the financial advice industry has thrived on salesmen earning commission from insurance firms and fund mangers in return for advising clients to invest in their policies. The sale of policies is supposed to always be in the best interest of the customers. But after looking into the matter for the past four years the FSA has concluded that the system simply does not work. "The changes also mean firms offering independent advice will have to demonstrate that their recommendations are based on a comprehensive and unbiased analysis of the market, and that any product selection is made in their clients' best interests," the FSA said. "However, if a firm chooses to limit their product range to certain investments or strategies, then the services they offer are restricted, and this should be clearly set out for customers." If an adviser's charges are too expensive for customers to pay in one go then they can be given the option of spreading their payments over time and be included with any other charges that might be levied, for instance by a fund manager. "The fundamental point is that consumers will be able to see how much is charged for advice," the FSA pointed out. The changes may affect more than just the thousands of independent financial advisers (IFAs) who make a living advising on and selling financial policies. Banks and other lenders have also earned billions of pounds in commission from insurers by selling their payment protection insurance policies, designed ostensibly to help people pay credit card bills, personal loans, hire-purchase agreements and mortgages if they fall ill or lose their jobs. These policies have been denounced by consumer groups for being little better than a protection racket and their sale is in the course of being severely restricted. These and other "pure protection" policies, such as life and health insurance, can still be sold on a commission basis. 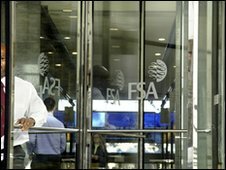 But the FSA said it was consulting on whether to force salesmen to tell customers that commission was involved and how much they were getting, if they sold the policies alongside an investment. The FSA's own consumer advice panel welcomed the regulator's announcement as a "huge step forward". "At last, the distortion created by commission will be removed from investment advice," said Adam Phillips, chairman of the Financial Services Consumer Panel. "The FSA has stuck to its guns, and really has acted to protect consumers and improve the system." "Once the new rules are in place, independent advice will have to be truly independent, and not undermined by any commission paid by the product provider," he added. Isas: How can they work for you?